GE is storming into 2018 with several smart home solutions, building on its early forays with the C by GE bulbs and Sol lamp. On Tuesday, the company announced several new devices including a smart ceiling fixture that reduces the need to litter your various table spaces with Echo Dot or Google Home smart speakers. There's also a new smart wall switch, and improvements to its funky Sol lamp and C by GE bulbs. GE's new smart ceiling fixtures are meant as a universal replacement for smart speakers. 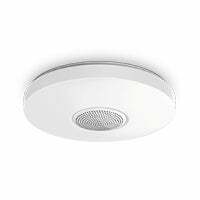 Instead of having the smart speaker on your bedside table or side table in the living room, they're on the ceiling. The fixture comes as a flush mount version, which hangs over your head similar to a smoke detector. There's also a recessed can version for the kitchen, den, or any other place in your home that uses recessed lighting. The idea is for the ceiling fixtures to better blend in with your home decor, while still providing the smart home assistant functionality you require. The fixtures work with all three of the popular smart home assistant ecosystems including Alexa, Apple HomeKit, and Google Assistant. The fixtures only comes in white. Just like the ceiling fixtures, the wall switch works with your preferred digital assistant for controlling lighting. It has all the required tech built in, so there's no need to connect to a separate device hub. 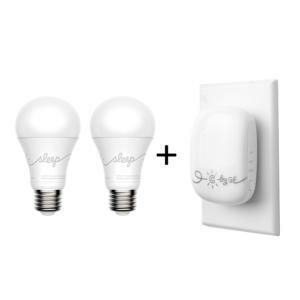 There's also a built-in antenna, so it can continue to function like an old-school switch without messing up the smart controls of the bulbs that can require a regular switch to always be in the "on" position. The new switch also comes loaded with occupancy, humidity, and temperature sensors. 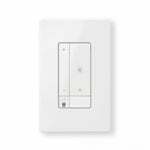 As with dumb dimmers, GE Says the smart wall switch can be used to dim any regular bulbs you may have in your house. Again there's no pricing, but the wall switch will roll out in the latter part of 2018. Coming soon, the Sol lamp is branching out with new third-party services, as well as expanding availability into Canada. Soon, Sol will get Spotify and SiriusXM integrations for music and talk radio lovers. Amazon's Echo Spatial Perception (ESP) feature is also coming. With ESP integration, Sol can coordinate with other Alexa devices in the home to determine which device should respond to your voice commands based on the clarity of your voice. ESP is a great addition, because I don't know about you, but I really hate it when the lamp butts in on my conversations with the thermostat. Finally, the C by GE bulbs are getting Apple HomeKit compatibility in the first quarter of 2018. 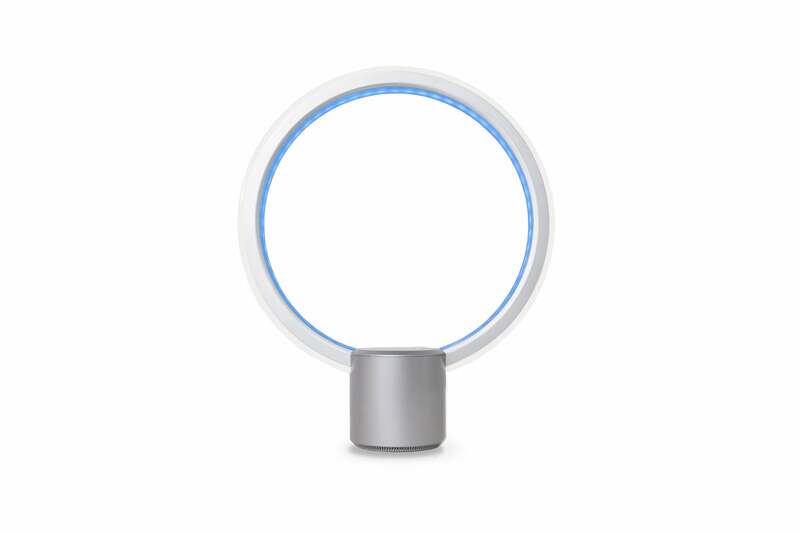 When it's available, C-Life and C-Sleep bulbs combined with GE's C-Reach bridge will let you use Siri to dim the lights just as you can use Alexa or Google Assistant right now. When we looked at C by GE bulbs in November we weren't entirely impressed. They worked well enough, but offer limited settings and tunability for color difference compared to competitors. The bulbs are also only marginally less expensive than more popular options like Philips Hue making them a harder sell. 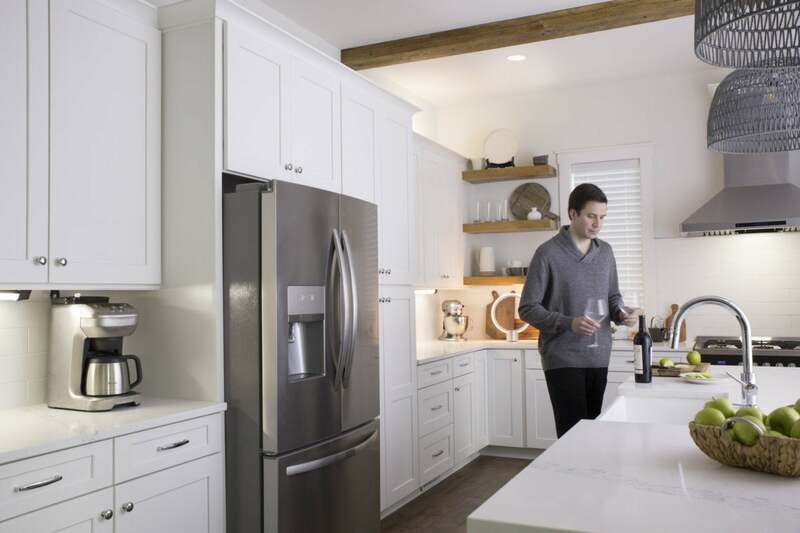 Despite the caveats, GE is expanding its various smart home line-up at just the right time. While smart home products are growing in number they still have the whiff of "enthusiast" about them. That is slowly changing, and may pick-up even faster in 2018. Anyone looking for a familiar and trusted name for their smart home bulbs and other devices will be glad to see a well known name like GE on store shelves.